What defines who your family members are and what interpersonal relationships matter the most to you? Family is simultaneously easy and difficult to define. There is no set definition for the term. The term varies and changes across space and time. It is a group that forms an emotional connection and serves an economic unit of society. Blood, marriage, cohabitation, or adoption join the group into a social unit. For example, a family of orientation is one into which a person is born. On the other hand, family of procreation is one that is formed through marriage. 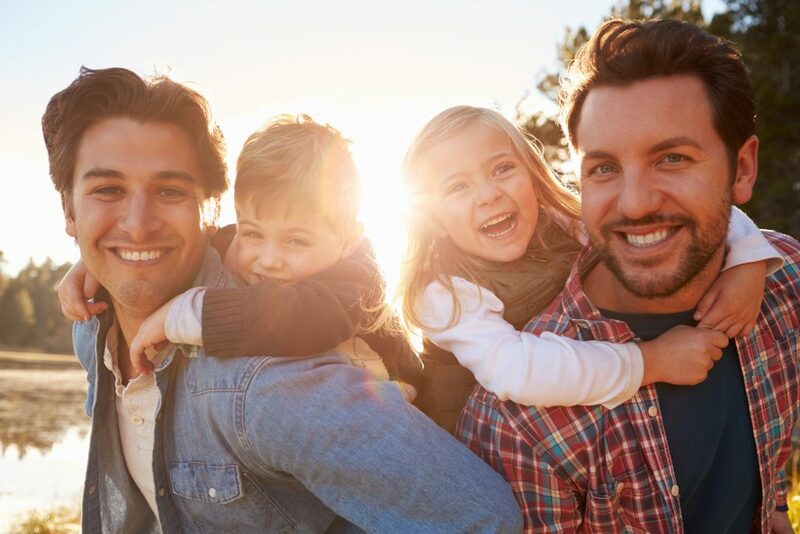 In short, families are groups in which people come together to form a strong primary connection and maintain emotional ties to one another over a long period of time. Thus, families are groups that perform vital roles for society such as provide for one another’s physical, emotional, and social well-being. The meaning is socially constructed. And so, beyond the social conservative view, it may include groups of close friends, a dog, a neighbor or teammates. An interpersonal relationship is a deep, solid, and profound connection between two or more individuals. This connection may be based on love, camaraderie, affinity, or some other type of social commitment such as in the case of family members. Families appear to be private and intimate. However, families also serve a much larger function within society. Consequently, sociologists consider it a social institution. In other words, a family is a established and organized system of social behavior within a specific purpose. Further, institutions are the building blocks of society. Families are also powerful cultural symbols. For instance, in North America, it is a symbol of decency. The label deems wholesomeness and innocence. For example, consider the term “family movie”. In addition, “family values” are often used by politicians during campaigns and debates. In addition to personal terms, social structure shapes families. The social forces operating in society form the attitudes, behaviors and experiences. As a result, it is both a private relationship and a public institution. No matter how you define yours. Your family members provides you with a sense of community and feeling of belonging. You need the support and care of others, because we all need affection, understanding, and love. The gratifications of this emotional need is essential to your mental and physical well being. Hence, your family members boosts your self-worth with unconditional love, support and security. Also, it promotes your inner growth, and helps you achieve your goals. Certainly, it shapes your personality and beliefs too. Your family values affect the decisions that you make. Family are the people in your life who want you in theirs. The ones who accept you for who you are and would do anything to see you smile. Your family members loves you no matter what.